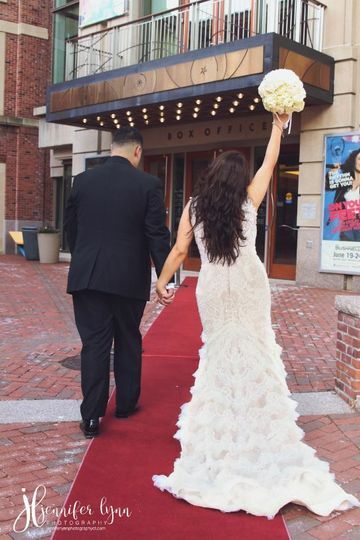 The Bushnell Center for the Performing Arts is a historic theater hall that doubles as a special event and wedding venue in the center of Hartford, Connecticut. 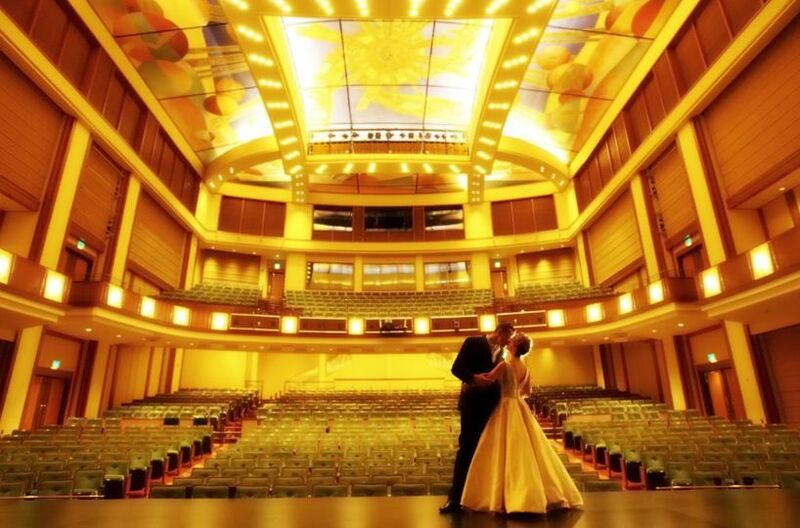 For over 84 years, the performing arts center has provided a unique space for weddings and events of all sizes. The venue has professional staff who will assist in event planning to help you create the wedding of your dreams. Catering will be provided by Hartford’s premier restaurant and catering group, Max Catering. 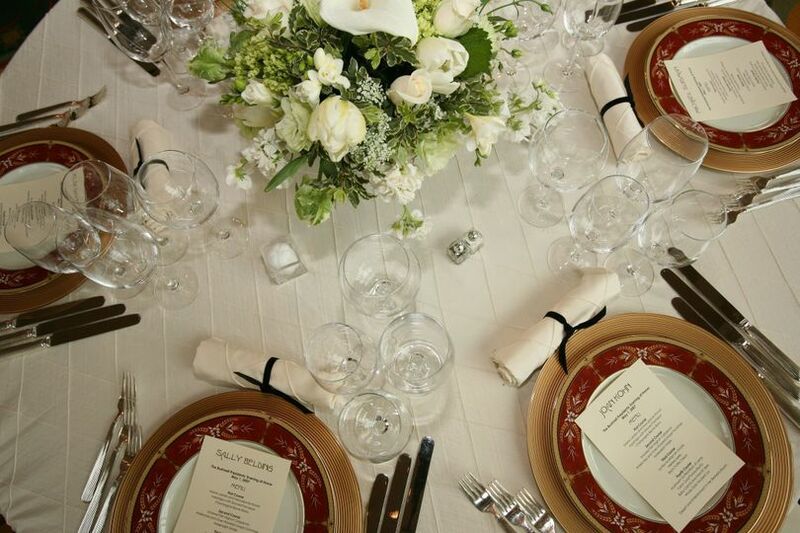 The catering service will work with you to create a wedding menu that is just right for your occasion. 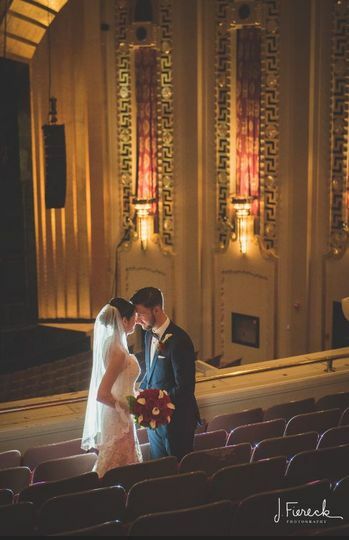 With various elegant and extravagant spaces, The Bushnell Center for Performing Arts provides the perfect setting for your wedding in an ideal location. 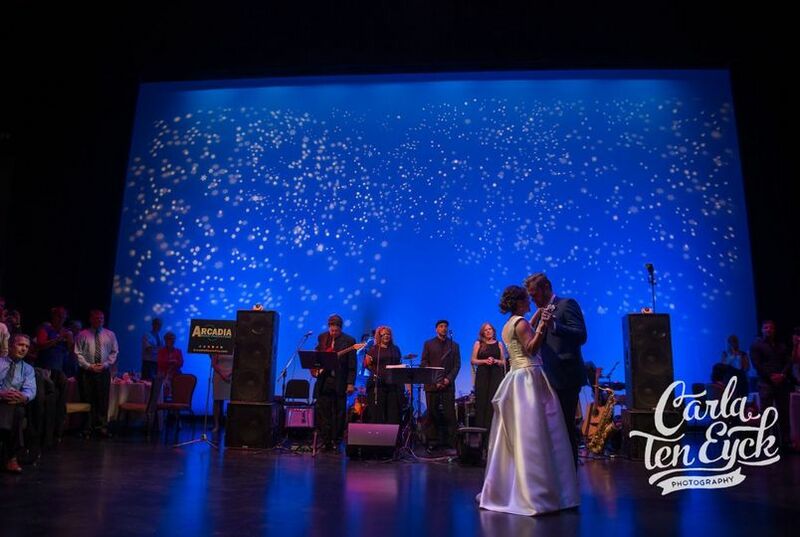 The Bushnell Center for the Performing Arts has multiple spaces for your wedding event and can accommodate up to 250 guests. 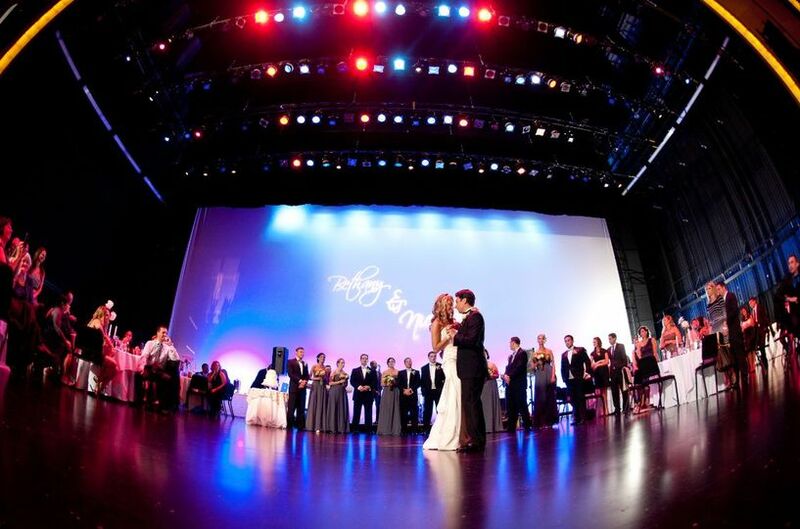 The William H. Mortensen Hall is a state-of-the-art theater that has 2,799 seats and is perfect for onstage weddings. Maxwell M. & Ruth R. Belding Theater has 908 seats and is ideal for private receptions and events. Autorino Great Hall is a unique space overlooking the courtyard, and Seaverns Room offers traditional elegance with hand-carved wooden walls and an outdoor terrace. 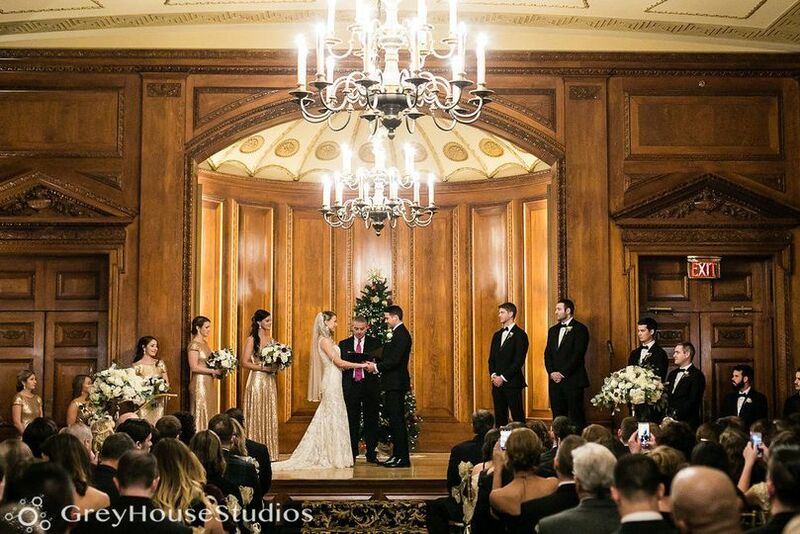 The Horace Bushnell Suite overlooks the great hall and the Hillyer Suite is an ideal space for a bridal suite. Mortenson Lobbies and the Belding Theater Lobby both offer perfect spaces for cocktail receptions and more. Our original venue for our wedding ceremony closed last minute and we were without a place to get married. We looked into the Bushnell and the Seaverns Room there. Kristin was awesome to work with and was so helpful in assisting us in booking the room and solving our problem. 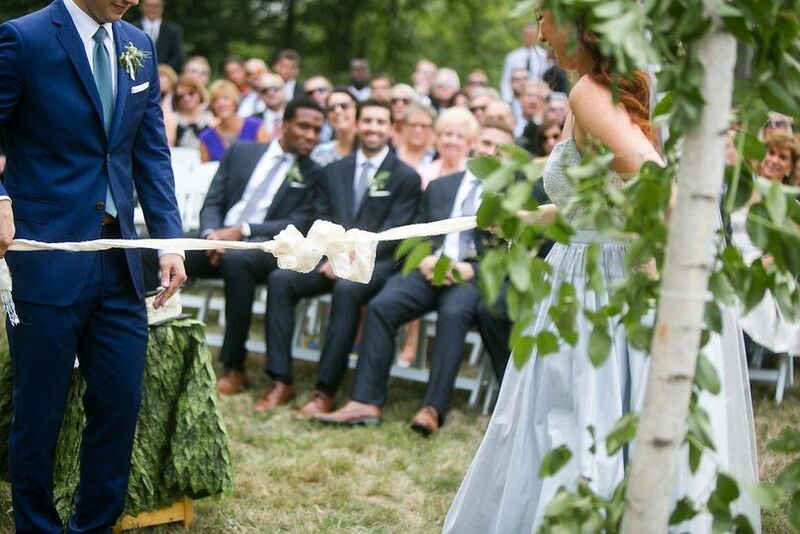 We both say that getting married here was the best thing that could have happened. the room itself was gorgeous but they also allowed us to take pictures around the building due to the fact that it rained. Everything came out beautifully and they were so helpful before and after the ceremony to make sure that everything went perfectly. I highly recommend looking into the Bushnell for your wedding! Thank you so much to Cathy and everyone at the Bushnell! This is a great and unique venue. My husband and I didn't want a banquet hall or the typical spot. 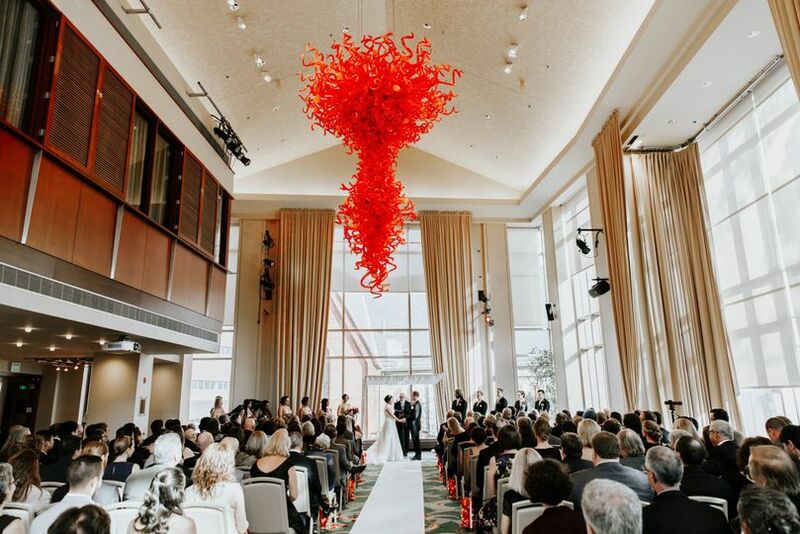 The Bushnell has a great space with a beautiful Chahuly glass chandelier that looks gorgeous at night. It also gives you a great opportunity to take some pictures in the Park and by the Capital building. Cathy Stephens at the Bushnell is the best! The day of your event, you don't have to think of anything - she takes care of making sure everything and everyone is in the right place at the right time. We forgot the garter and Cathy and her colleague Angela fashioned a (very stylish!) one out of ribbon and decorations - that was frankly better than the one I bought! They are also very flexible in terms of seating arrangements, will let you stop by to check out the room, and are happy to answer your questions at a moment's notice, even if she is on vacation. She made sure our party was well-cared for and that the guests had everything they needed - several guests commented that there was always a staff member asking if they needed anything over the course of the evening. Please note that the Bushnell works exclusively with Max's Catering for all its events, which was great - you can bring in an independent vendor for your wedding cake. 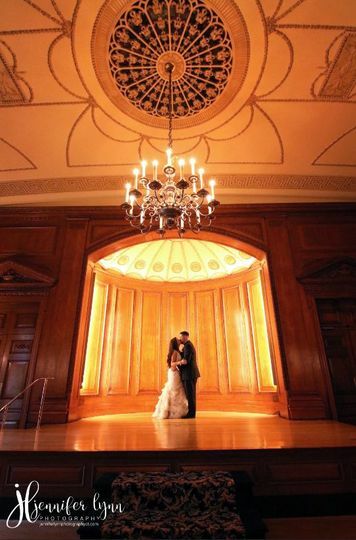 For an exceptional event planned with creativity and executed with the utmost efficiency, say "I do" at The Bushnell. Having worked there myself for thirteen years, I can say with confidence that you&apos;ll be in good hands.